Team TeachPitch is very happy to announce that its CEO Aldo will be joining the 2019 WISE Accelerator Committee of the World Innovation Summit for Education. TeachPitch was a candidate for the Accelerator back in 2015/2016 and is very honoured and grateful to be part of the selection process of the candidates for this year. 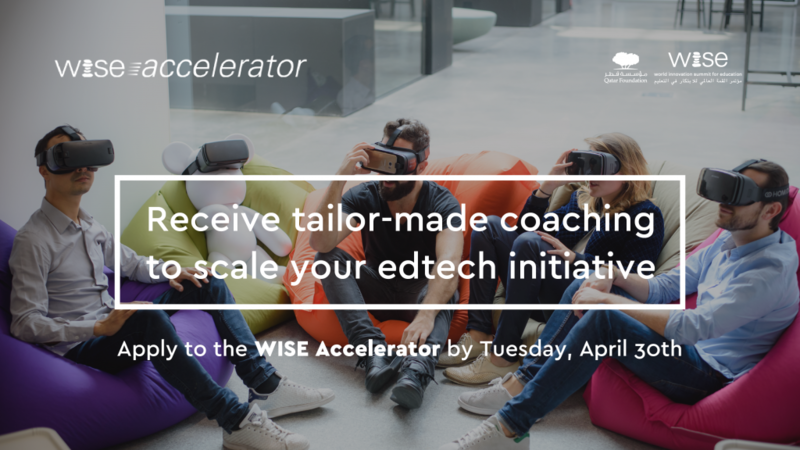 The WISE Accelerator supports innovative initiatives with high potential for scalability and positive impact in the field of education technology. The initiatives receive support to tackle issues hindering their growth as well as benefit from opportunities for international visibility with WISE and networking opportunities with potential partners, donors and investors. The Committee, which supports the WISE Accelerator team in the selection process, comprises individuals with relevant experience and expertise in education, technology and/or entrepreneurship. EdTech organizations and/or companies will have the opportunity to apply by April 30rd, 2019. Do get in contact with us if you would like to know more about the World Innovation Summit for Education and its Accelerator.